It's lovely to have Jennifer Joyce back on the blog with her latest book The Little Bed and Breakfast by the Sea. 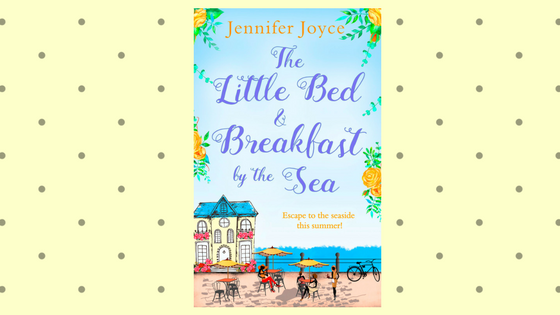 To get you right in the mood for summer, Jennifer is talking about her seaside favourites and I know exactly where I want to be right now. 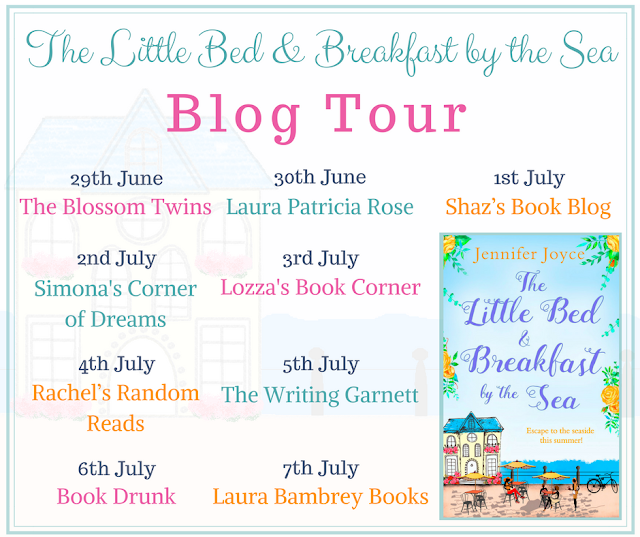 Oh, I do like to be beside the seaside – don’t you? There’s something magical about watching the waves build and crash, the rhythm mesmerising, the sounds enchanting. It’s nature at its best, in my opinion. But the seaside isn’t just about the sea – it’s the atmosphere and the fun. It’s the memories created. I love an arcade, with their flashing lights and promise of fun. My favourite machines are the Tipping Point-style 2p machines, where the aim is to push as many coins off the edge of a sliding panel as possible. The winnings are minimal, but it’s all about the fun. At the other end of the fun scale are the soft toy grabber machines, which I loathe. You can feed pound coin after pound coin into those machines and walk away with nothing but disappointment. They cheat. And I don’t like cheaters. I’m not actually the biggest fan of eating rock. Of all the confectionary in the world, rock is a bit boring. BUT I still love it as nothing says seaside like row upon row of rainbow-coloured rock. Plus, I’m in awe of how they make it, forming the words and phrases in the middle. It’s like magic to me. Yes, I am an overgrown child. But you have to admit that building sandcastles is fun! One of my favourite memories of a holiday in Mallorca a few years ago was a day at the beach with the family. My daughter, Isobel (who was almost four at the time) built a sandcastle and then asked my husband to ‘pretend to be a monster and stomp on it’. Which he did. Isobel then proceeded to fake cry as he trampled on her sandcastle, making my husband look like the cruellest dad to anyone nearby. It was hilarious. I never swim in the sea as I’m not a strong swimmer and am also a big wuss (Jaws, people). But I do like to have a paddle in the sea. Ankle-height is enough for me, though. Any further in and I’ll be convinced an imminent shark/jellyfish attack is about to occur. I know you can have ice-cream anywhere, but it’s in the rule book that you must eat ice-cream at the seaside (and if it isn’t, it should be). My ice-cream of choice would be a simple Mr Whippy with a Flake and raspberry sauce. Perfect! So those are my seaside favourites. I’d love to know what you enjoy most about the seaside too! Mae loves running her little Bed & Breakfast, it’s the perfect place to raise her adorable four-year-old daughter! And no matter how persistently local vet, Alfie, chases her, she just doesn’t have time for men in her life. Melody only intended to stay in the bustling seaside town for a few days to capture the perfect photo. But when she meets Hugo – the charming man in the ice cream van – she decides to stay a little longer!